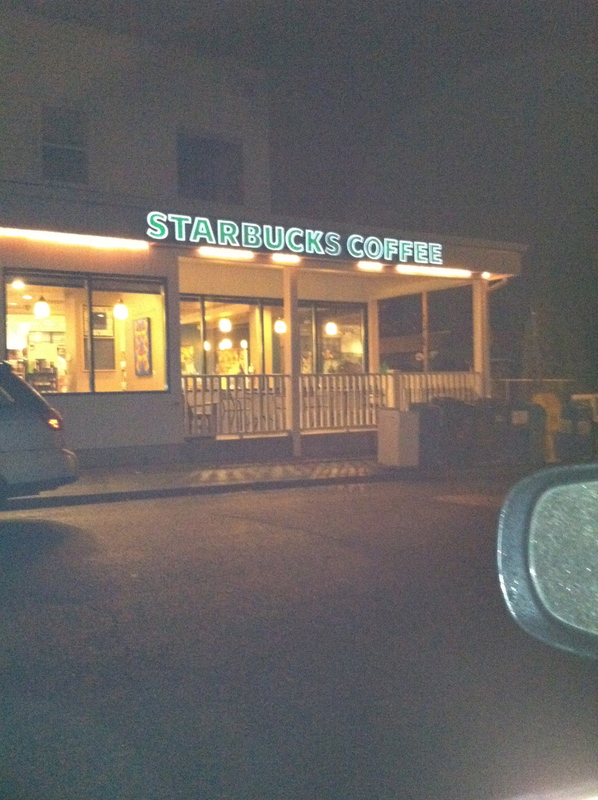 I arrived here in Portland, OR on Sunday afternoon just before 1PM. This capped a 4 day adventure that took both my mom and I across 12 states, covering almost 3,000 miles. This was not a real sight-seeing trip as we had a couple of time deadlines we were trying to meet as my mom is going to be flying out to Japan tomorrow morning to visit with my brother and his family. Therefore, we took a more or less straight and to the point route across the country. No stops at major locations this time. The route that we did take (Interstate 90 which turned into 80 which turned into 84) was basically as straight forward as you could get. We ended up going about 700 miles the first day which put us outside of Chicago for the night. The next day we covered the most miles at just under 930 and ended up staying in Cheyenne, Wyoming. On the third day we traveled through extremely high winds in Wyoming and Idaho, high enough that I crammed my road bike inside the car because I thought the 50+ mph winds were going to detach it from the car. Luckily the roof racks held it snug and did not allow any catastrophe’s. Once the bike was safely crammed inside the car I felt much better. On this third day of traveling we stayed in Boise, Idaho for the night, rolling into town just as the Boise State vs TCU football game ended. It turns out that the depressed nature of the people at the motel was due to the fact that the Boise State kicker missed a game winning field goal with time running out which subsequently ruined a perfect season and a potential BCS bowl game. Kinda sad. After making good time and putting a lot of miles in for three days we only had about 430 miles left to Portland on Sunday. 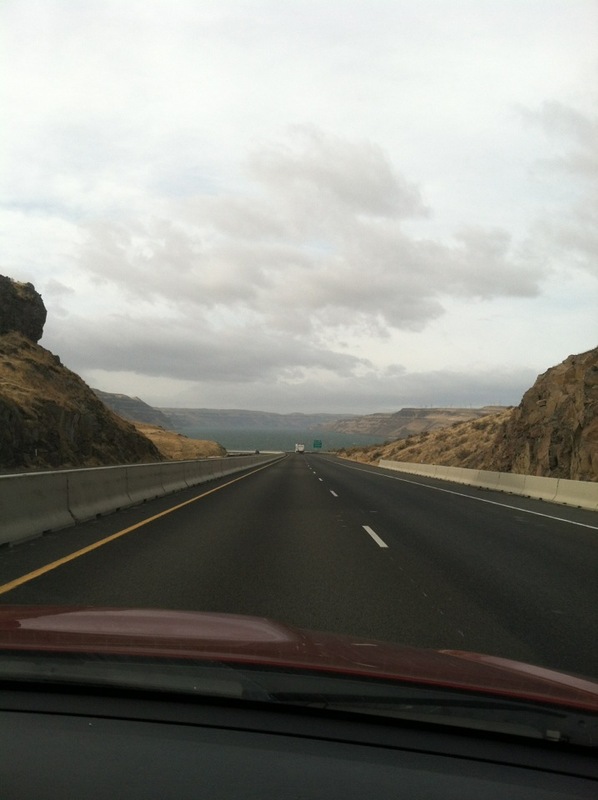 This drive for the most part was extremely gorgeous with epic views from high atop mountains as well as along the nightly Columbia River which borders Oregon and Washington State. However, the most sketchy part of the trip did occur on this day as the roads really iced over in the mountains and made for that part of the trip to be very dicey. Some parts of the road felt as if I was driving on a sheet of black ice. Luckily the temperatures rose and the mountain passes ended. After those were behind us we had clear sailing along the Columbia all the way to Portland. Overall the trip went very smoothly. I ended up driving the whole way with my mom sitting shotgun. Thanks to her we stayed in 3 nice hotels, with wonderful beds along the way. Left to my own devices I probably would have slept in the car next to some crusty truck drivers 🙂 So a big thank you to my mom for keeping me company along the way is due. THANK YOU! Over the next few days I am going to be searching out places to ride, trails to run and pools to be swum in. I must say its a bit of a daunting task to get organized and figure everything out. The side of Portland that I am living on is very hilly (and beautiful) and to the newcomer it is pretty difficult to navigate where you are going. I rode my bike around the little village where I live (Multnomah Village) and I can get around ok, but beyond the village I am pretty intimidated at the moment. I have heard of an island location a little outside of the city with flat riding as well as a beautiful riding area on Skyline road which is above the city. I am confident that I will have these routes down pat in no time. The only remaining thing I want to get figured out is where I am going to be able to swim. So that’s what is going on today here in Portland…and FYI it is bright and sunny out right now! hey, i just found your blog! very cool you qualified for kona. i live on the other side of portland, but if you are looking for a pool – portland triathlon club has a lot of organized swims happening.